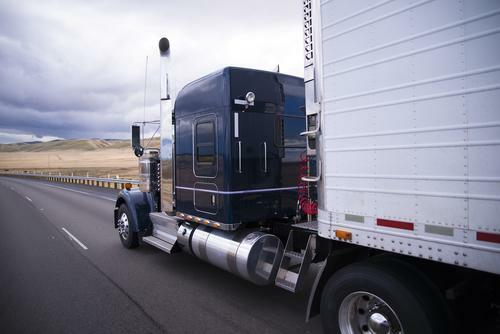 38 billion gallons of diesel fuel are consumed annually for transporting goods. Trucking is essential to the United States economy. Medium and heavy-duty vehicles like semi-tractor trailers transport around 70% of the billions of tons of goods in the US. Unfortunately, these powerful vehicles tend to produce a surprising amount of harmful emissions. While medium to heavy-duty vehicles only make up 10% of vehicles on the road, they produce 20% of the greenhouse gas emissions from the transportation sector. To be fair, the semitrucks of today are much more environmentally friendly than their 1970s counterparts. Thanks to regulations put in place by the Clean Air Act, the EPA estimates that modern heavy-duty vehicles are about 99% cleaner than models from the 1970s, and air pollution from transportation has actually decreased, despite rising numbers of drivers. While that's an impressive technological feat, it isn’t time to throw in the towel and say “good enough.” The EPA estimates that as of 2015, about 121 million people in the US still lived in areas with unsafe levels of air pollution. A 2007 study showed that people living closer to roadways are more at risk for developing health issues caused by air pollution. With heavy-duty vehicles producing more than their fair share of emissions, the pressure is still on to make them more environmentally friendly — but there are a few innate challenges. A majority of heavy-duty trucks are powered by diesel. The American Trucking Associations states that about 38 billion gallons of diesel fuel are consumed annually for transporting goods. In a perfect world where the ideal combustion of diesel fuel takes place, the only emissions would be water and heat. Unfortunately, this is not a perfect world. The combustion of diesel fuel results in noxious emissions such as carbon monoxide (CO), hydrocarbons, oxides of nitrogen (NOx), and particulate matter. Technological advancements have helped reduce these harmful emissions to only about 1% of total emissions from diesel engines. However, with 38 billion gallons of diesel being consumed, 1% is still a hefty amount — especially considering its impact. Each of these emissions can be harmful to human health. Carbon monoxide inhibits a body's ability to carry oxygen; hydrocarbons help form ground-level ozone, irritate respiratory tracts, and even cause cancer; oxides of nitrogen can produce smog and acid rain; and particulate matter can cause asthma, lung cancer, and even premature death, not to mention its negative environmental impacts. While you can find these emissions from gasoline-powered vehicles, emissions of particulate matter and oxides of nitrogen are much more pronounced in diesel vehicles. Particulate matter emissions from diesel engines can be 10 times greater than gasoline engines, and it's estimated that diesel engines make up 85% of oxides of nitrogen emissions from mobile sources. When faced with those facts, it's easy to ask, “Why are we even using diesel?” According to Don Schaefer, Executive Vice President of the Midwest Truckers Association, the answer is simple. “[Diesel engines are] superior to gasoline engines from the standpoint of the amount of power produced per gallon of fuel burned,” he said. While gasoline is great at moving a 2-ton car, it falls short at trying to move a 40-ton semi-tractor and full trailer. When it comes to heavy lifting, diesel is just more efficient than gasoline. There are alternative fuels for diesel that are currently in use, such as compressed natural gas or biodiesel. However, these fuels raise other issues when it comes to human health, and they have a glaring problem with availability. Schaefer said while these alternative fuels work well for vehicles staying close to their base of operation, a lack of fueling stations makes them impractical for long-haul trucks. Because diesel is the most efficient and available source of fuel for heavy-duty trucks, the EPA has taken steps to prevent air pollution by setting emission standards. Schaefer said early standards were focused on making changes to the engine. But tackling harmful emissions isn’t easy — it will require a larger overhaul of the way we build our vehicles. A few harmful emissions could theoretically be reduced by increasing combustion temperatures and pressures. However, doing so would increase oxides of nitrogen emissions and visa versa. While Schaefer said great strides have been made by refining diesel fuel, modifying diesel engines, and developing electronic fuel injection systems, new innovations are needed to meet emission standards. Currently, aftertreatement emission control systems are the most effective way to reduce emissions. These systems either capture harmful emissions after they have been created or cause a chemical reaction to turn harmful emissions into less harmful substances. 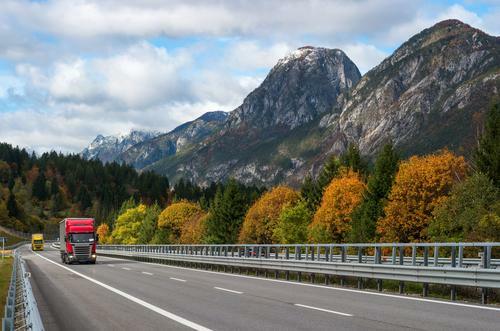 Aftertreatment emission control systems have allowed modern diesel vehicles to meet stringent EPA emission standards, which has helped contribute to the downward trend of harmful emissions being generated in the US. While diesel engines have drawn the most focus, Schaefer said the newest set of EPA standards draw attention to the rest of the vehicle. “Yes, we're going to reduce pollutants, and we're going to improve engine efficiency, but [the EPA] also built into it things like … the aerodynamic flow of the tractor connected to the trailer,” he said. Schaefer said streamlining the semitruck and trailer and creating tires with less rolling resistance are all being considered to make these vehicles more fuel efficient, leading to fewer overall emissions and saving truckers money on fuel. In addition to the environmental benefits, the extra work of inventing and implementing these technologies can also boost the economy. According to the EPA, the emissions control industry employs about 65,000 citizens and generates $26 billion of domestic annual sales. Related: What Is The EPA, And Why Does It Matter? To help spur innovation, the Department of Energy launched the SuperTruck initiative in 2010 with the goal of improving heavy-duty truck freight efficiency by 50%. Truck manufacturers responded in astounding fashion with Daimler leading the way, creating a semi-tractor and trailer under their Freightliner brand that had an increased freight efficiency of 115%. With improvements like this, the future of environmentally friendly trucking seems certain. But there is one very important thing to remember about all of this technology: the price tag. The impressive advances that came out of the SuperTruck initiative were made possible by millions of dollars in federal funding put forward by the Department of Energy to help meet and exceed EPA standards. The EPA also provides funding for projects that reduce diesel emissions through its Clean Diesel program under the Diesel Emissions Reduction Act (DERA). This program has already prevented thousands of tons of emissions from being released into our atmosphere and saved hundreds of gallons of diesel fuel. However, through deregulation and budget cuts, the Trump administration seems to be working hard to derail the progressive momentum the diesel industry has picked up in combating harmful emissions. While no industry asks to be regulated, there is a real risk when it comes to turning a blind eye to harmful emissions. Implementing the third tier of the EPA's Motor Vehicle Emissions and Fuel Standards is expected to prevent at least 770 premature deaths, 19,000 asthma exacerbations, 30,000 upper and lower respiratory symptoms in children, and more by 2030. Now, this future is uncertain. Without a set goal to act as incentive, and with sources of funding being cut, environmentally friendly diesel innovation could be stifled. The important thing to remember is that many manufactures have already made incredible leaps with clean diesel technology. The tools are there; more aerodynamic vehicles, advanced engine technology, and assisted driving capabilities all have a chance to improve the environment and the bottom line of trucking businesses through fuel savings. Trucks drive America. The US simply cannot afford to stop investing in environmentally friendly diesel innovation. 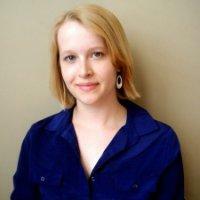 Angela Boesche is an Illinois-based journalist interested in agriculture, the environment, and astronomy. When she's not researching her next story, you can probably find her rock climbing or hanging out with her pet cow, Ivy. "Tackling harmful emissions isn’t easy. It will require a larger overhaul of the way we build our vehicles." When their broad diet is combined with their voracious appetite, it's easy to see how the red wriggler could divert almost all of a household's kitchen waste from landfills.